A Padaung tribeswoman weaving silk in Bagan, Mandalay. As Myanmar’s economic and political reforms continue at a steady pace, its indigenous traditional textiles could become commercialised. Myanmar does not yet systematically export its traditional fabrics and there are no official associations to promote the industry. It currently relies largely on tourists for small-scale revenues. But that could change. Myanmar is unique in the region, because its most renowned ‘silks’ are actually not made from silkworm threads, but from lotus buds. The tourist hot spot of Inle Lake in Shan State is currently the only location in Myanmar where lotus fibre is extracted and used to create textiles on any significant scale. Its soft texture is similar to a mixture of standard silk and linen. According to Khine Jiu Jiu Lynn, sales manager at Khit Sunn Yinn, a lotus, standard silk and cotton weaving centre at Innpawkohn village, Inle Lake, Shan State, a product made from lotus bud is seven times more expensive than regular silk due to its many qualities, which include being naturally stain resistant, waterproof, soft to the touch, breathable and wrinkle-free. “A single stick of lotus bud costs Burmese Kyat MMK4,000 (USD4.05) and a single scarf requires…20 days’ work, which is why it costs around USD75 [retail],” she told Twist International. While about 80% of scarf purchases are made by international tourists, Ms Lynn said the majority of lotus products are currently spun into robes for monks and sent to the cities of Yangon and Mandalay for commercial sale. Although lotus silk is rare and expensive, monks acquire the robes through donations in the Buddhist majority nation. Myint Thein Htun, the owner of Khit Sunn Yinn, a fourth generation family-run business, said that he is keen to export his products and has the capacity with 120 skilled workers, but fears a lack of quality control could be a problem. 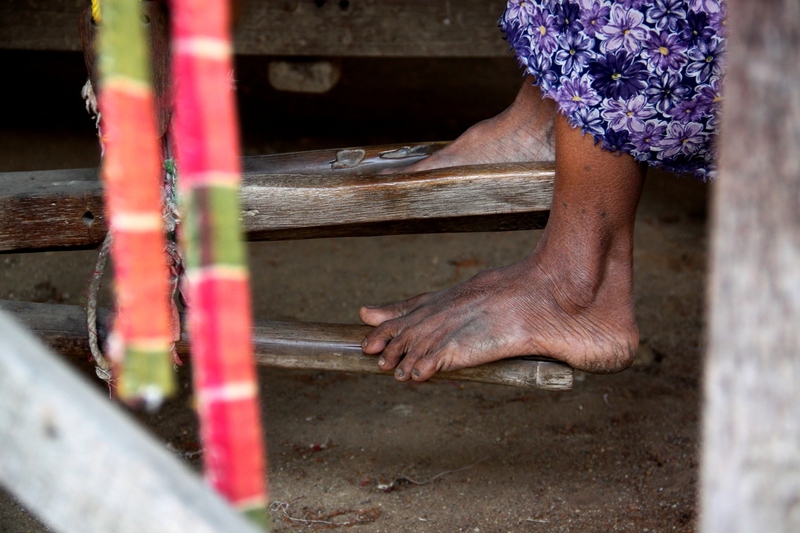 Workers’ feet are also used to operate looms, making it a highly labour intensive process. “We can’t export because our products because they’re hand-made. Customers want their textiles to be uniform, and we can’t guarantee that, particularly for the finishing and colours,” he said. For the time being, he said he is content to sell to tourists – visiting the beauty-spot Inle Lake in increasing numbers since political reforms began in 2011. His business gained international recognition by winning several awards at the ASEAN Silk Fabric and Fashion Design Contest ASEAN Silk Fabric and Fashion contest, staged in Bangkok in 2010. “No such awards exist in Myanmar,” he lamented. 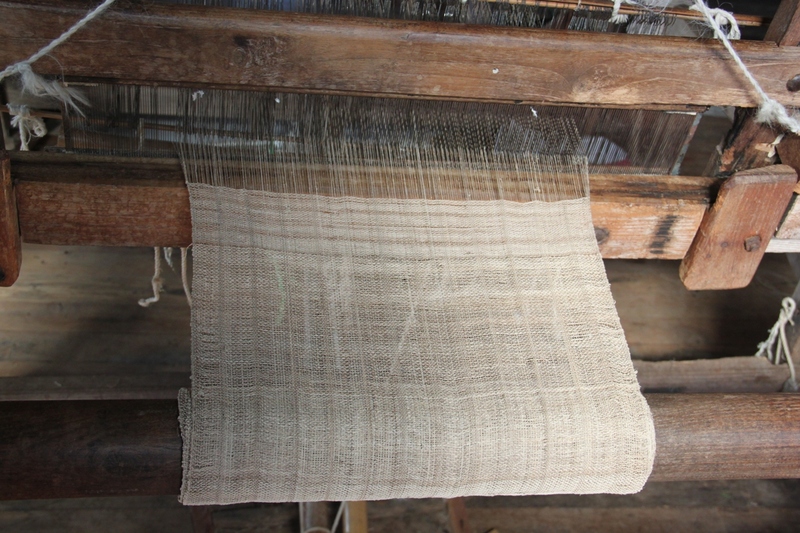 An intricate Burmese loom used to create raw silk and lotus silk textiles. Nevertheless, Mr Aye stressed the potential. Production costs in Myanmar are currently low compared to potential competitors in Thailand, India and China. The owner of Khit Sunn Yin, Myint Thein Htun in Inle Lake, Myanmar. Furthermore, the diversity of products created in Myanmar is staggering: each of Myanmar’s 135 officially recognised ethnic groups has its own unique patterns and traditions, and powerful customs associated with various textile products. In Chin State culture, for example, it is customary for a bride to weave a large blanket with homespun cotton and silk, dyed with herbs and woven in a back-strapped loom, maybe containing herbs and leaves. When one partner dies, the blanket is cut in half and wrapped around the body. The other half is stored until the other spouse passes away – it is believed that the blanket serves to unite the spirits in the afterlife. As for traditional cotton weaving, there are also regional craft industry centres such as Kachin state, as well as in Rakhine state. 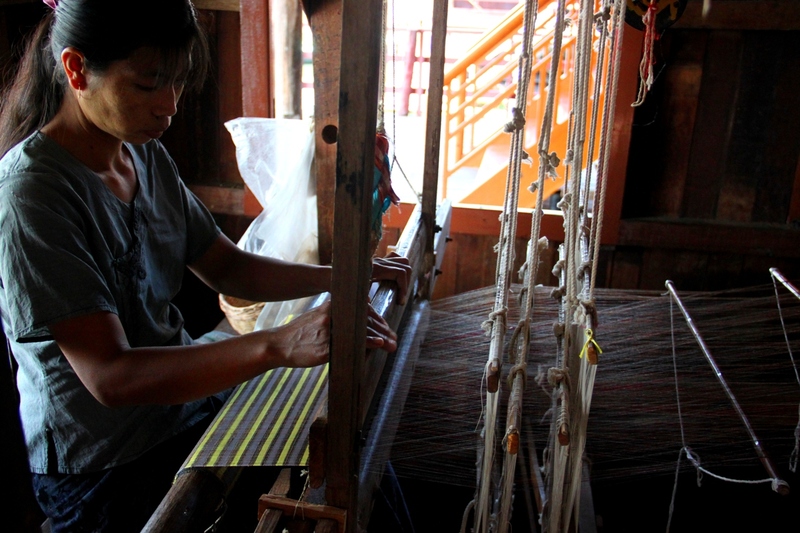 Inle Lake in Shan State, Myanmar, is the only place in the world where lotus silk is used to make textiles. The patterns of indigenous textiles, whether made from cotton, raw silk, pure raw silk and lotus bud silk, differ greatly from one region to the next. Mandalay is famous for criss-crossed designs, which are washed and dyed before spinning to create a softer fabric. Meanwhile, Inle Lake manufacturers are well known for ‘ikat’ dyeing techniques used to pattern textiles that uses a resist-dyeing process similar to tie-dye textiles, which was initially developed in Indonesia. 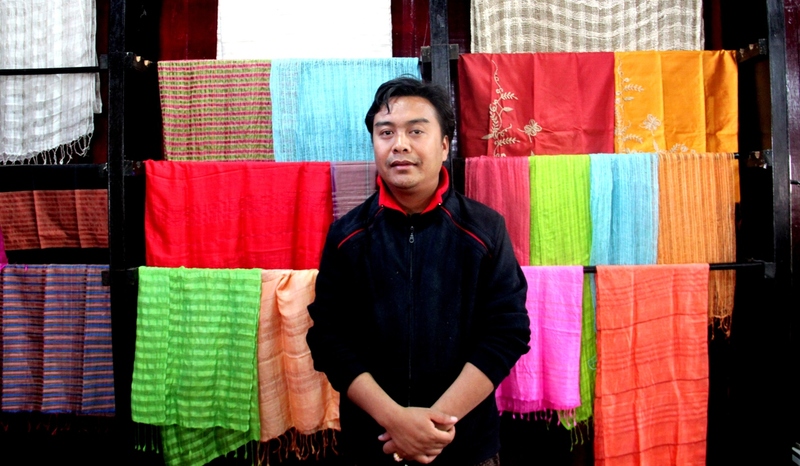 Nyan Lynn Aung, director of Fine 9, an advisory firm that connects foreign and domestic investors in Myanmar, (most often regarding garments), said he received his first inquiry about importing Myanmar’s indigenous silk products, from a buyer in New York, this month (February 2014). 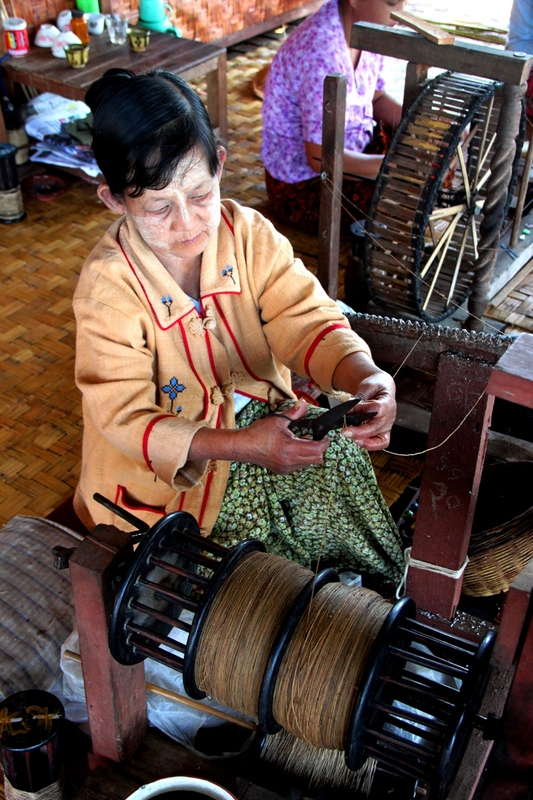 A weaver using a loom to create lotus bud silk at Khit Sunn Yin in Inle Lake, Myanmar. 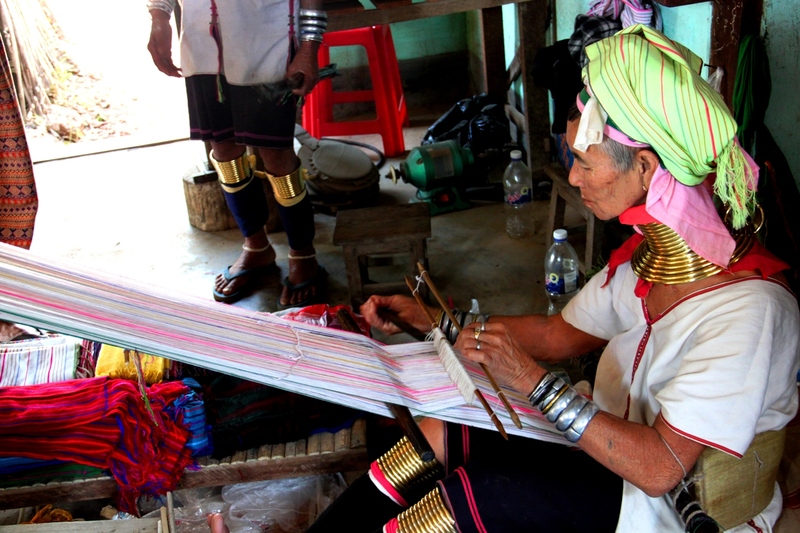 “Myanmar’s indigenous textiles definitely have potential. Of course, like anything, it depends how you sell it and how it’s set up, but much like free-trade coffee beans, buying ‘Made in Myanmar’ indigenous textiles could be seen as very trendy and ethical,” he told Twist International. Mr Aung suggested that repurposing traditional textiles into bags and belts could become a boom industry.